John Bird's approach, based on 700 worked examples supported by over 1000 problems (icluding answers), is ideal for students of a wide range of abilities, and can be worked through at the student's own pace. Theory is kept to a minimum, placing a firm emphasis on problem-solving skills, and making this a thoroughly practical introduction to these core subjects in the electrical and electronic engineering curriculum. The second edition includes new material on semiconductor diodes, transistors and operational amplifiers. The content has been carefully matched to the latest syllabuses (including Edexcel) and typical undergraduate modules. Free Tutor Support Material including full worked solutions to the assessment papers featured in the book is available at http://www.bh.com/manuals/0750649895/. Material only available to lecturers who have adopted the text as an essential purchase. In order to obtain your password to access the material please e-mail jo.blackford@repp.co.uk with the following details: course title, number of students, your job title and work address. John Bird's 'learning by example' technique is a thoroughly practical way of gaining knowledge and understanding. "Excellent text. 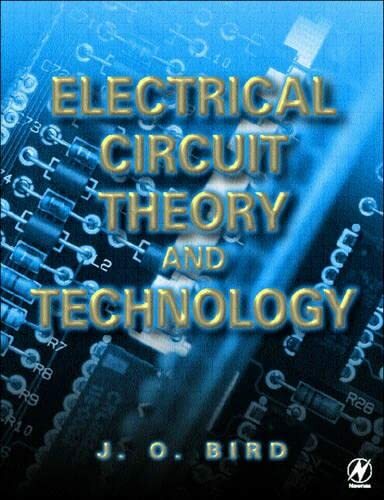 I recommended this book last year and will continue this year"
A text for courses in electrical and electronic principles, circuit theory and electrical technology. The coverage takes students from the fundamentals of the subject, up to and including first degree level. Thus, it should be suitable for students with a typical high school background studying engineering for the first time, and suitable for pre-degree vocational courses, especially where progression to higher levels of study is likely. Theory is kept to a minimum, and a firm emphasis is placed on problem-solving skills. This second edition includes new material on semiconductor diodes, transistors and operational amplifiers. The content is matched to UK syllabuses, including the Advanced VIC (GNVQ), BTEC National (2001 specifications) and BTEC Higher National Engineering (phase 2 unit specifications).